Eat Better. Enjoy Better. Live Better. In a world bursting with over processed snack bars, we dare to be different by creating deliciously flavorful, nutritious, grab-n-go "better for you" cookies. It's time to truly ENJOY your energy snacks! "My husband and I actually fight over these. The flavor is so fantastic and the consistency is wonderfully chewy. This is hands down the best good-for-you snack out there. I love that I don't feel guilty eating something so decadent!!" Dark Chocolate + Cranberries IN A COOKIE!? And it's healthy???!! These taste phenomenal and are my absolute favorite hiking snack! I've tried a handful of granola/energy bars and these take the cake. Lightweight and delicious + packed with energy to keep me going on the trails. Love them! "All the flavors are delicious and my husband and son love them too! Plus the wholesome ingredients make me feel good about what I'm feeding my family!" "I wish I would have come across these sooner! Imagine eating a soft, delicious homemade cookie straight from your grandmas oven, that's how good these are." "There simply is no better cookie on the market." "These are hands down the best Gluten-Free cookies I've ever had! And top 5 best cookies of all time." "Ridiculously delicious! I usually avoid any gluten free baked goods because they're so dry, but these are some of the best cookies I've ever had." "All it takes is trying one and you'll have a new energy food you'll love!" "Perfect for breakfast, a mid-afternoon snack, or to refuel on a ride! I've shared these with everyone I know, and they love them!" We don’t compromise on ingredients or flavor! When Sue Kakuk (aka Mrs. KAKookies!) discovered her daughter and collegiate cycling teammates were stopping at “Fast Food” for donuts and breakfast before their races, she started baking “Breakfast Cookies”. As a Pillsbury Bake-Off finalist, she used her baking skills to create a cookie that was nutritious AND delicious. Fast forward a few years later and they're now a popular grab-n-go energy snack! Real Food. Real People. Real Lifestyles. In the April edition of The Feast! 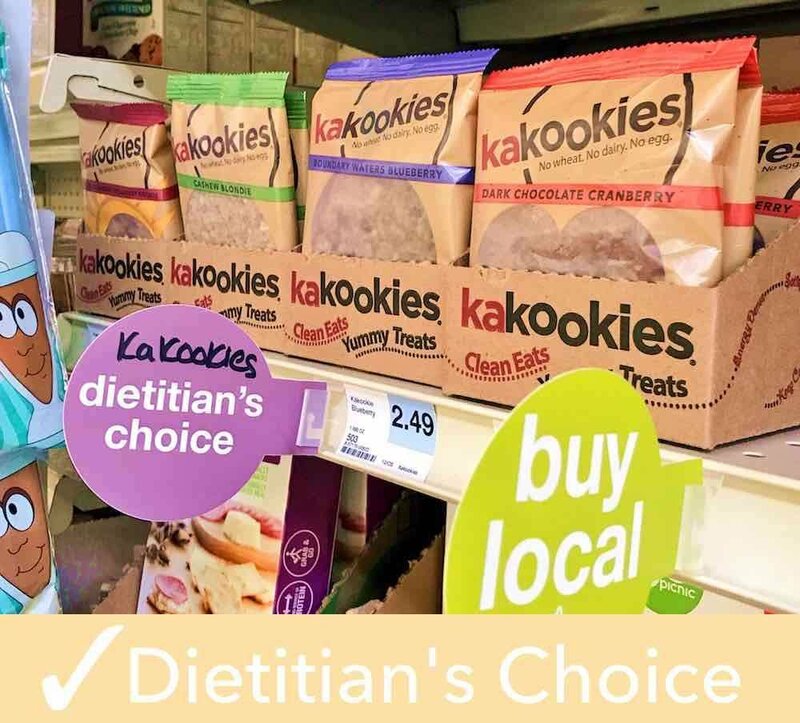 Local Foods SCOOP, hear about Kakookies latest new flavor, the mission of the company, and a little bit more about the family behind Kakookies! Kakookies Wins 2018 Best New Healthy School Snack! We're so honored and excited to have won the 2018 Best New Healthy School Snack! Sign-up for exclusive sales, coupons, and new arrivals. Plus get access to secret special subscriber-only offers!